Kids Day With the Legends! Have your child spend the day being coached by some of the most high profile names to have played at LIVERPOOL, MANCHESTER UNITED, the SOCCEROO’S and the A-LEAGUE. In this exclusive training camp they will have the opportunity to learn from the best so they can be their best! WHO: This camp is suited for boys and girls aged between 7-14 years old, all skill levels welcome! • Coaching from the biggest names in football such as Luis Garcia, Quentin Fortune, John Arne Riise and Patrik Berger. Q&A which will feature inspiring stories and motivational tools for your kids to apply to school life and their own training. 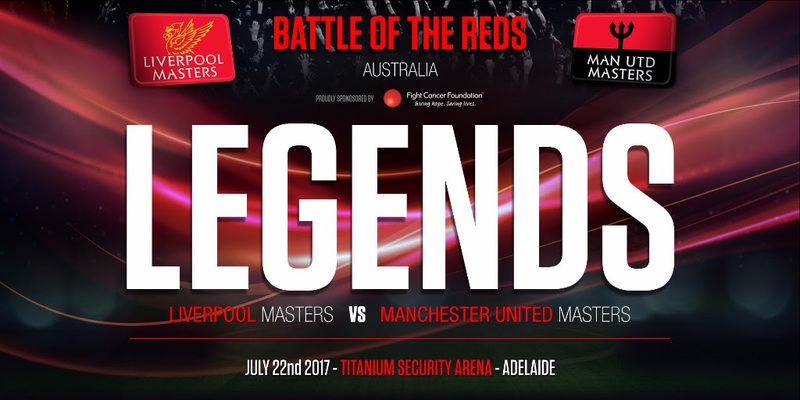 THE BATTLE OF THE REDS, ONE OF THE ENGLISH PREMIER LEAGUES OLDEST AND MOST INTENSE RIVALRIES, COMES TO ADELAIDE WITH THE LIVERPOOL MASTERS TAKING ON MANCHESTER UNITED MASTERS AT TITANIUM SECURITY ARENA ON JULY 22ND. 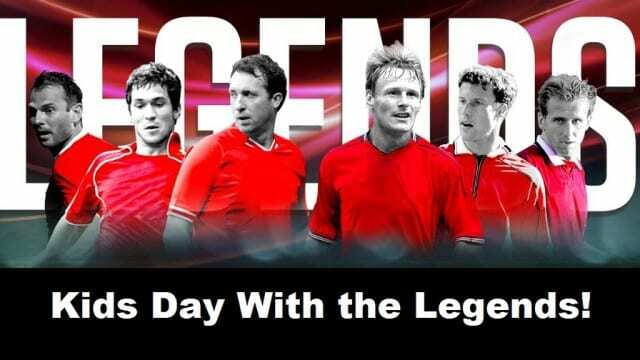 The event is unique in nature as it’ll be an indoor tournament involving the Liverpool and Manchester United Legends who will compete in a 5-side, 4 team round robin along side PFA Socceroo’s Legends and the PFA A-League Legends. This festival of football will involve 6 games over 3 hours and will bring you up and close and personal with the games biggest names such as David James, John Arne Riise, Patrick Berger, Dietmar Hamann, Luis Garcia, Quentin Fortune, Clayton Blackmore and Karol Poborsky, joining local heroes such as Archie Thompson and Mark Bresciano. This event is the first of it’s kind in Australia, so don’t miss your chance to be involved, for more information and ticket sales click here. Dine with the Football Legends from Liverpool, Manchester United, Socceroos & A-League Football Masters. Enjoy a 2 course lunch, drinks included with the Masters players from Liverpool Football Club, Manchester United, Socceroos and A-league teams. Get insider knowledge, hear the history, football life and stories from the players you remember watching.